Cash translated from Western Union in Varna – Send and receive money over 200 States and provinces. Western Union е компания, which offers financial services and communications. The company is based in the U.S.. Its headquarters is in Inglewood, Колорадо. To 2006 g, Western Union was the best known U.S. company in the business of exchanging telegrams. Уестърн Юнион има няколко дивизии, products such as money from person to person, transfer, remittances, payments to businesses and commercial services. They offer standard services and products such as Candygrams, Dollygrams и Melodygrams. Уестърн Юнион днес е повече от услуга, facilitates sending and receiving money. Every day, we help you stay in touch with loved ones anywhere in the world through quick, secure and affordable money transfers. Като част от Western Union ние работим с мрежа от около 470 000 representatives in over 200 states and provinces. Western Union in Bulgaria Varna is accessible through the network of Black Sea Capital. Visit our office and present a valid ID. About where and how much money you want to send the names of the recipient. 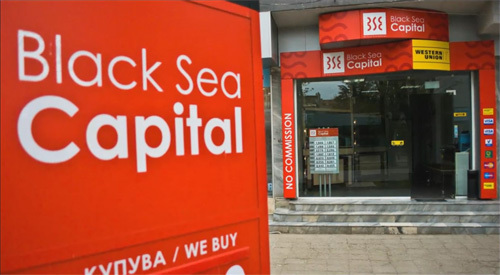 In the office of the Black Sea Capital and Western Union in Varna our employee will complete the transfer information in the system will print the submission form. Check the data in the form of Western Union, to make sure, they are correct in and sign the form. Our employee will return the identity document and a copy of the form, where you will see transfer control number (MTCN) and the redemption amount. Visit office the Black Sea Capital, provide a valid ID(LK,emigrant pasport or driving license) and say that the mandatory receipt of the transfer(ten digit control number,the names of the sender and the country from which you expect the translation of Western Union). Our officer will check your ID and other information in the system and if it is true, will print the form to receive money. Check the data on the form, to make sure, they are correct and sign it. The officer will give you money, receipt and return you to the document ID.